Sierra Rescue now has a stronger presence in the Southern Sierras. Sierra Rescue’s Zach Byars recently moved from Northern California and now is based in Ventura, California. This move has opened the door for more rescue trainings on southern sierra rivers such as the Kern and the Kawhea. Combined with the fact that both of those drainages hold running water this year, the southern training grounds are prime. Los angeles based Uber adventures has sent numerous participants to the Kern for whitewater rescue training this spring where participants hone techniques for descending Whitewater Class-C canyons. 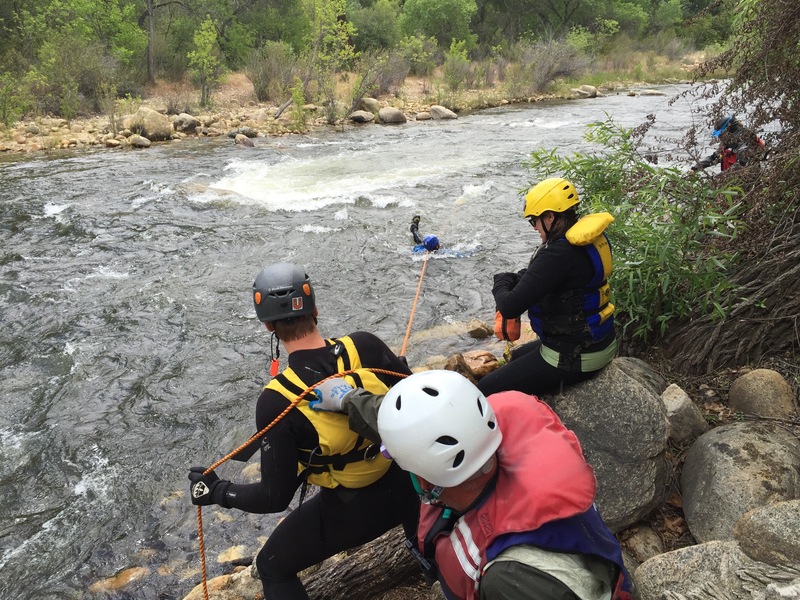 In addition to canyoneers and other outdoor enthusiasts, Southern California rescue agencies are sending personnel to the Kern for training that is a little closer to home. The Kern provides an excellent and diverse training location with more than 60 miles of accessible terrain. Whitewater rapids ranging from class 2 through class 5+ affords the right challenge for any adventure seeker. The diverse nature of the river corridor is perfect for the wide ranges of classes that we teach. Between the upper Kern and Lower Kern is the town of Kernville, which serves a jumping off point, and base camp for all sorts of outdoor recreation. We are pleased to maintain a more consistent presence the southern sierras and strive to provide the best possible training courses for our students. Find a class and come train!